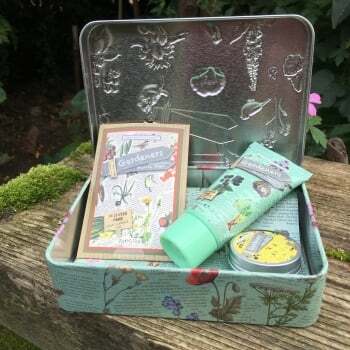 This Heathcote & Ivory SOS gardener's gift tin from Ruddick Garden Gifts would make a great gift for anyone who loves their garden. 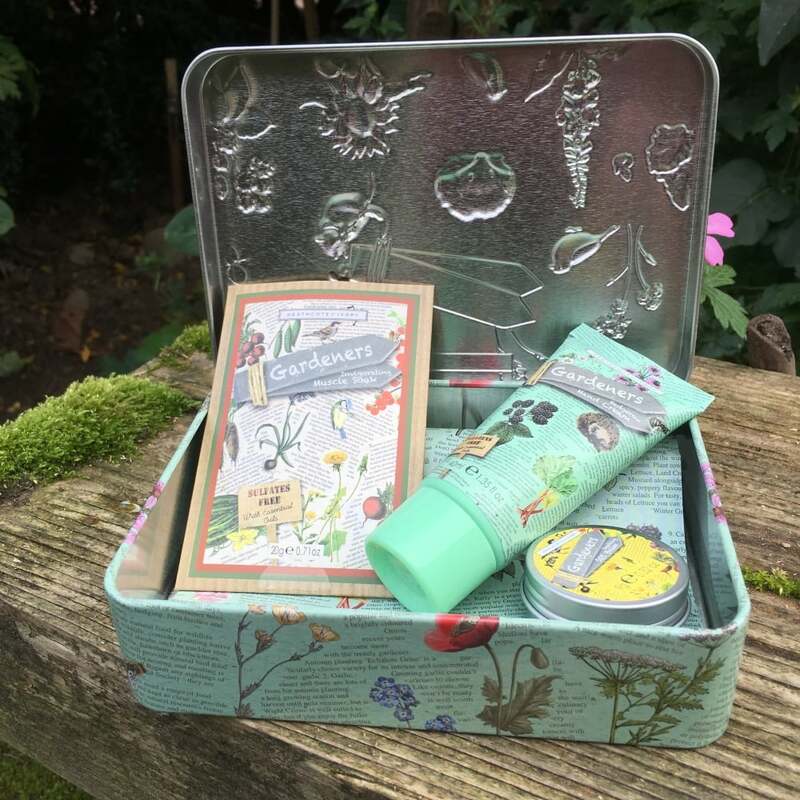 Included in the handy hedgerow printed tin is a 40ml tube of rhubarb, elderflower, shea butter and blackberry enriched hand cream, a 9g pot of SOS balm with beeswax, basil and chamomile and a 20g sachet of muscle soak containing uplifting eucalyptus and sage. So why not treat someone special to this great little gift.